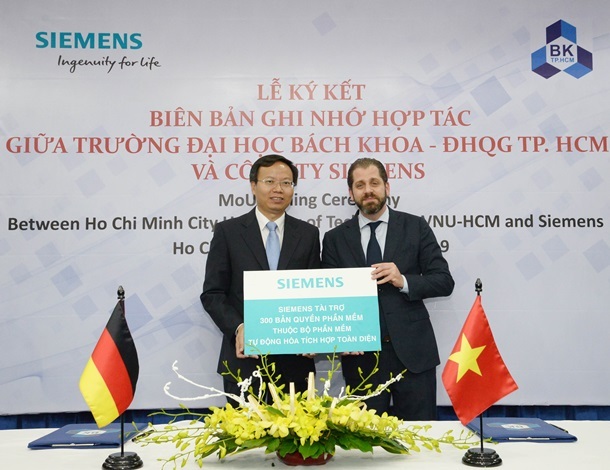 Ho Chi Minh City University of Technology (HCMUT) has appointed Siemens as its technology partner in a collaboration to develop the university’s Industrie 4.0 Lab. 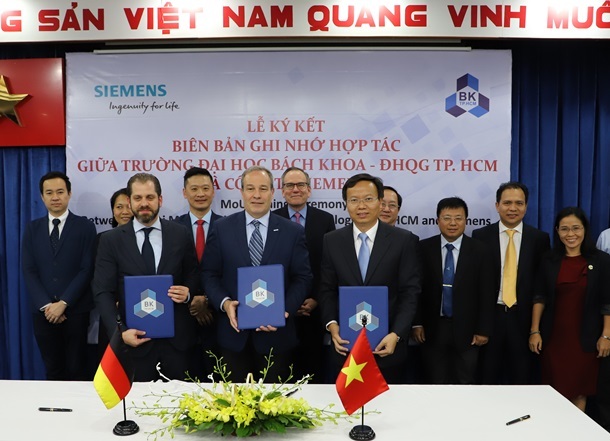 The partnership leverages Siemens’ expertise in Industrie 4.0 to strengthen HCMUT’s curricula, and aims to foster greater development in science and technology. As part of the agreement, the two parties will cooperate to identify gaps in the current curricula on Industrie 4.0 and Energy Technology, and develop new training courses to supplement and enhance HCMUT’s current offerings. Total integrated automation solutions, Product Lifecycle Management (PLM), Digitalization concept for factories and Power generation, transmission and distribution. By implementing Siemens’ solutions to their Innovation Lab, HCMUT can now showcase the complete suite of Siemens software and services at the Industrie 4.0 Lab. With a full range of solutions, the facility will support proof of concepts and illustrate how enterprise-wide digitalization is transforming the global manufacturing industry. The goal is to give students and industry a unique environment to build and test digital solutions using the world’s most advanced PLM, Digital Manufacturing, MOM and Quality Management Solutions software technology.